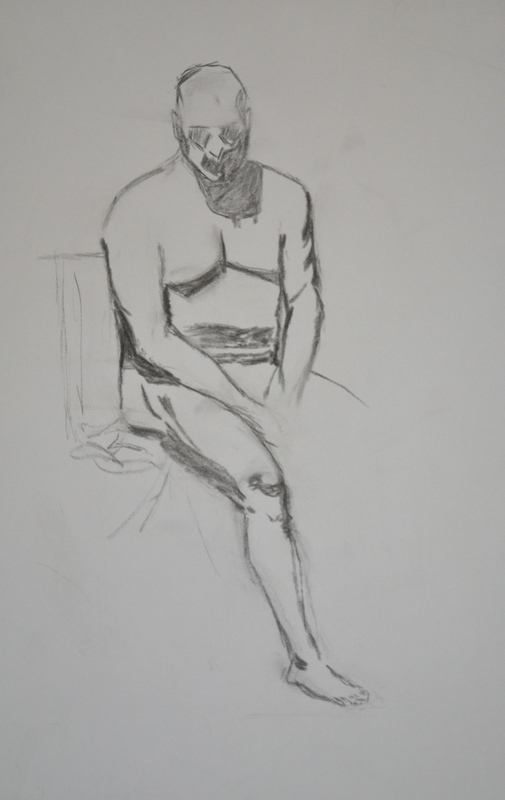 During winter quarter I attended a Figure Drawing class at Gage Academy. One of the methods to create a quick figure sketch we’ve talked about was “block in”. It’s good to have a good light source to create strong shadows – and then you quickly block in the dark areas and thereby create a first sketch of the figure. Following are two sketches I did in class. The first one (woman standing) literally took only a couple of minutes. The second one (man sitting) took a little longer, may be 10 to 15 minutes. I find it fascinating what one can create with only a few strokes and capture/express so much. 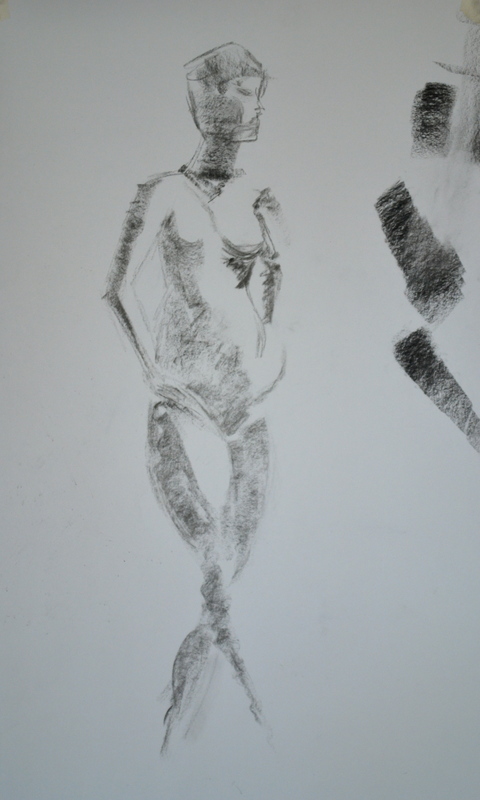 This entry was posted in charcoal, drawings and tagged art, art instruction, charcoal, drawing classes, drawings, fine art, fine art classes, Gage Academy on June 16, 2012 by lilo.